Marriage Quote - I believe in marriage. 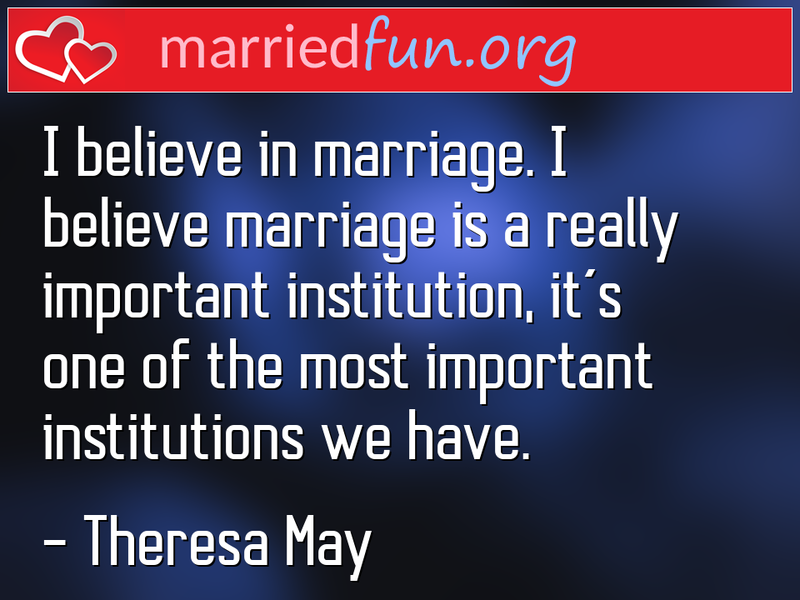 I believe marriage is a really ... - Married Fun! I believe in marriage. I believe marriage is a really important institution, it's one of the most important institutions we have.